Piccadilly Line. © Tim Marshall 1991. All human life is on the Piccadilly; the line is too cluttered with stations, having originated from three railways serving the congested area of central London, and having then been extended. It’s unfortunate, therefore, that it should be the line that since 1977 has served Heathrow. When the British Airports Authority first proposed its Heathrow Express service from Paddington in 1988, london Transport responded with its own plan to run Tube trains express to the airport, partly using District Line tracks, which would have provided the fastest access by Underground. This ambitious and expensive proposal did not stop the Heathrow Express, which I refuse to use because of the television screen that blares at you the whole way. I stick with the Tube, and, being a north Londoner, any Heathrow flight I take is always preceded by – and often exceeded by – an hour and a half on the Piccadilly. The text is from Underground, Overground: a passenger’s history of the Tube, published by Profile Books (also available here). 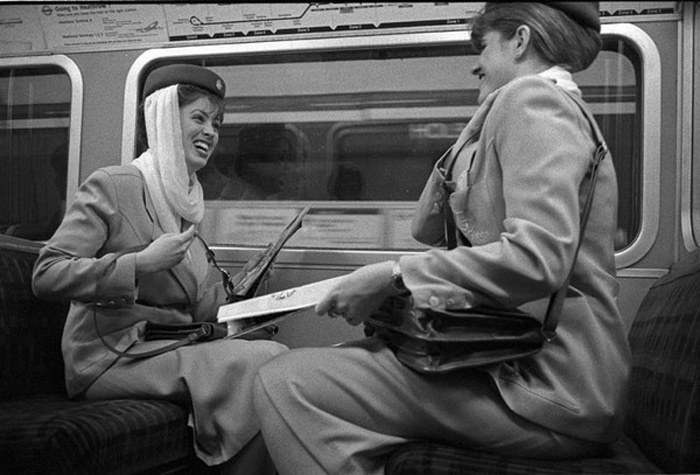 The photos are from Tim Marshall’s series When a Tube train stops.